A UK first and Jo Thornton exclusive. 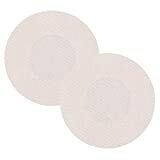 Secure your breast forms/enhancers immediately to your skin then peel off with clean easy removal. Experiencing a jiggle of movement in the bra cup with your breast enhancers? Fix them instantly. Have a supportive dress you can't wear a bra with? Fix the style in position with ease. Have breast forms you'd like to use without a bra? (*weight of breast form permitting) No problem! The dermatologically tested adhesive guarantees an ultra-strong hold without irritating your skin* or damaging the breast forms. 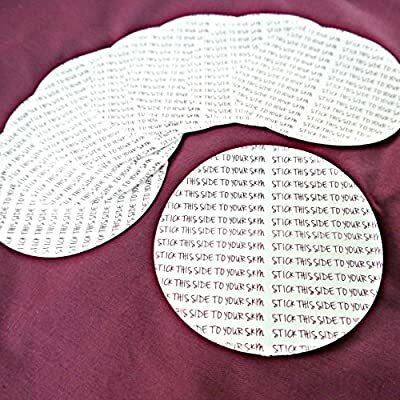 One side of the strip has adhesive designed for use on the special cover on breast enhancers and the other a special dermatological one for your skin. Each disc measures 110mm in diameter. Please note: the tape is nice and sticky and so it may prove difficult for people with low manual dexterity to remove the backing. See tips for use on my site www.jothornton.co.uk/helpcentre. Do you have a question? Contact me in confidence -hellojo@jothornton.co.uk. My Jo Thornton shop has the biggest range of breast enhancer styles and colours in the UK, with specialist-friendly advice as standard. Whatever you need them for, be it subtle or eye-catching, I've got a style exactly right for you.